I am not made for travelling, it has been established. Andy, Steve and I travelled to London from Leeds and back in a day for ELCAF on Saturday (report to follow on FPI some time this week) and after a 10-hour sleep, I zonked out for another couple of hours in the middle of Sunday- note: in future, just stay the bloody night. 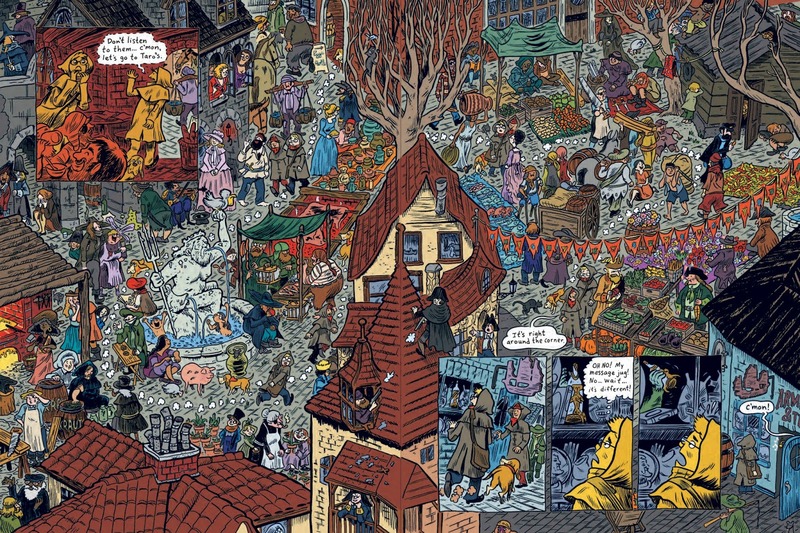 Ralph Azam vol 1 by Lewis Trondheim: this English language translation of another one of Trondheim's fantasy adventures released last year, but I've only really got stuck into his work a-proper these past 3 months, which put it back on my radar. Barnaby by Crockett Johnson; been following the progress of this for a while. Fantagraphics are collating all of Crockett's newspaper strips of the cigar chopping fairy god-figure and his charge in 5 books- this volume collects strips from 1942-3. Teenytinysaurs by Gary Northfield, My Dirty Dumb Eyes by Lisa Hanawalt, Little Nothings vols 1-3 by Lewis Trondheim: I was really looking forward to Teenytinysaurs- I'm a fan of Northfield's cartooning and writing -his Gary's Garden strips in The Phoenix are great- but this didn't do it for me. The art is still nice, but it didn't strike the balance between being something for both adults and children, which is fine. Finally bought Lisa Hanawalt's book- Andy and I had a peruse of it on the train down and it looked filthy and funny- she draws her own brand of reptilian anthropomorpholgy really well. I'm really liking books that are a mixture of odds and ends that do different things like Hanawalt's at the moment: comics, art, illustrated reviews and articles, humorous shorts- I dunno it feels like they engage the reader more, because the visuals are constantly being shaken up and offering something different page-to-page. I mentioned I'm going through Trondheim's oeuvre, right? The End by Anders Nilsen, Wake Up, Percy Gloom by Cathy Malkasian, The Hollows by Chris Ryall and Sam Keith: I have to admit, I wouldn't have picked up either The End or Wake Up, Percy Gloom if Turnaround hadn't been nice enough to send them. 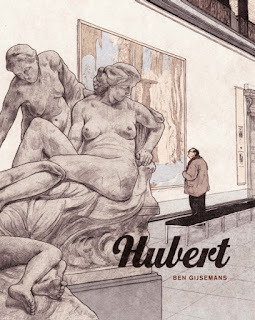 I'm a fan of Nilsen's work, but I saw the preview of this on the Fantagraphics site and had decided to give it a miss for now. Similarly with the Percy Gloom book, I'm yet to get around to reading the first one and prefer to do that even if the followup makes sense in itself. The Hollows I bought simply because I enjoy Chris Ryall's writing and, on occasion when it's clearer, Sam Keith's art, and the synopsis was enough to hook me: a future Japan with giant cities situated in trees, built to escape the soul devouring 'Hollow' creatures below. You need to pick that book up if you haven't already. Castle Waiting, courtesy of Turnaround again, I think I'm right in saying this second printing has more material than the first printing of the second volume. Yes. Linda Medley provides a masterclass in how to take influences, tropes and traditional tales and turn them into something wholly new, original and fantastic in its own right. Last but not least: Genius by Steven T Seagle and illustrated by Teddy Kristiansen, the team behind the sublime It's a Bird. Seagle takes on Einstein and the nature of genius here and it's not what you might expect. I like that Seagle avoids making his character a misunderstood, loner-genius type, he has a wife and two children and functions well generally; indeed the story is more about the responsibilities, duties and expectations that come with great intellect and how to manage those. ELCAF report on Thursday- until then.